As you may already be aware of 3D Blu-ray movies have joined our daily lives for a couple of years, and 3D video is becoming the most sought-after thing. Maybe most 3D movie fans would ask the same question to either backup their movies free from Blu-ray physical disks or prepare for future usage such as watching copied 3D Blu-ray movies on 3D player. If you are in such demands, you are definitely in the right place! 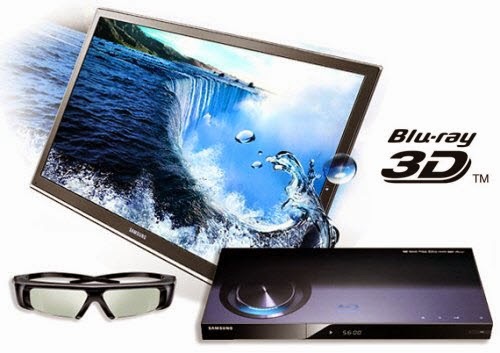 Actually you also can stream 3D movies including the 3D Blu-ray to 3D SBS Video formats with the supported 3D player like SBS 3D Player. Of course. If you also want to watch 3D Blu-ray movies on your portable devices with a 3d player, you can use one professional 3D video converter – Pavtube BDMagic which can convert any 3D Blu-ray, 2D Blu-ray to 3d side by side formats with Letterbox formatting. Read the review. Besides, this popular can convert 2D/3D Blu-ray to various video and audio formats, like m3u8, Prores, H.265 MKV, MP4, MOV, DivX, AVI, MP3, FLAC, etc so you can make a duplicate copy for your video collection, or share movies on numbers of popular media players including TV. If you are using the Mac systerm, you can get Pavtube BDMagic for Mac, and the steps are same with the Windows version. From “File” drop-down menu, select “Load Disc” to import Blu-ray disc from the optical drive. Click “Format” bar, and select 3D side by side .mp4 from “3D” . This format also is supported 3D VR headsets, 3D Projectors, 3D portable devices and so on. It’s also suitable for Letterbox Formatting. Step 3. 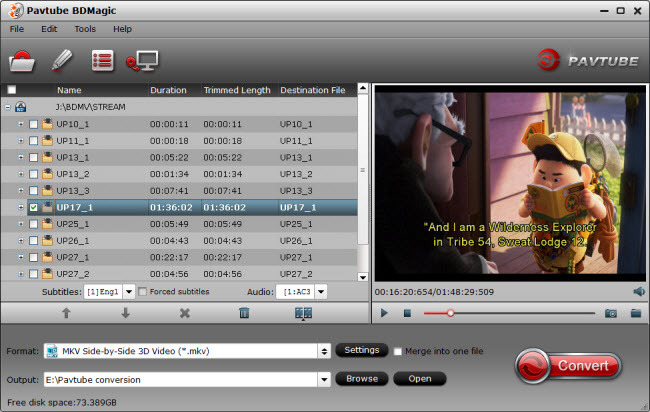 Click the “Start conversion” button on the main interface and the software will start to convert 3D Blu-ray movies to 3d side by side mp4 formats with Letterbox Formatting immediately. When the conversion finishes, click “Open” to find the converted video files. Then you can effortless transfer the video files to Android/iPhone or other 3D video player for playback on the go nicely.